Hello! 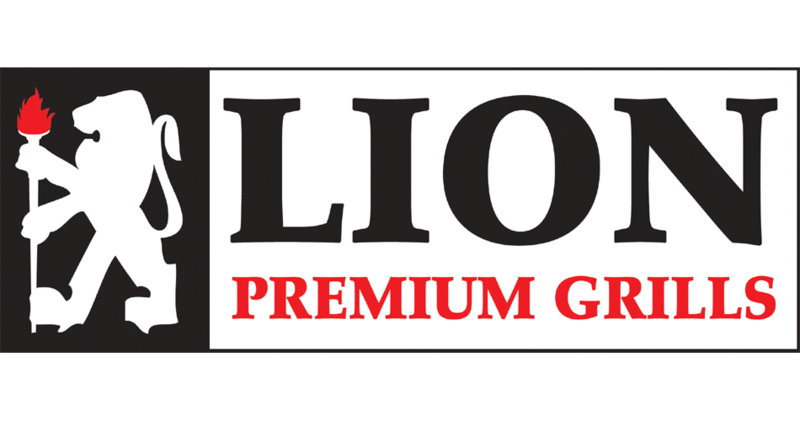 All of us at Lion Premium Grills would like to welcome you to the latest installment of our monthly newsletter. This is our 57th issue and summer is about to be in full swing. 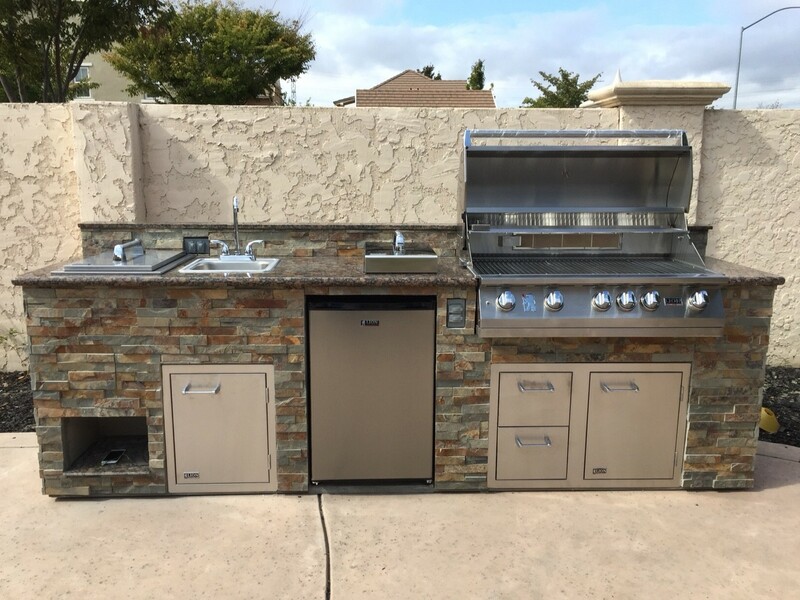 Being outdoors with your family and friends is a priority and implementing a very desirable BBQ island set-up is vital. It’s the perfect place to congregate and socialize and it is the perfect backyard centerpiece during these beautiful summer evenings. Our grills, islands, and accessories are the perfect addition to any backyard. We have quite a bit of content lined up this month starting with an in-depth look at our stainless steel cooking grates — we compare them to other common composition types and we hope you’ll see why ours are top tier. Following that is a wonderful skirt steak recipe that is not only delicious but quite easy to prepare. We also have a glowing review of our L75000 32″ grill and an in-depth look at our 40″ L90000 grill. We also have a great video clip of our products courtesy of Pro Tech (they’re located in Northern California). We hope you enjoy this issue and we thank you for taking the time out to check out our products and website! It may not immediately spring to mind as one of the more important components of a BBQ grill, but the cooking grids are vital items. Some may think that it’s not really a big deal when it comes to the quality of the composition of the cooking grids themselves, but that’s not true in the least. You need high quality grids unless you want to encounter problems with rust, rods bending and warping, food sticking to the grids, and more. 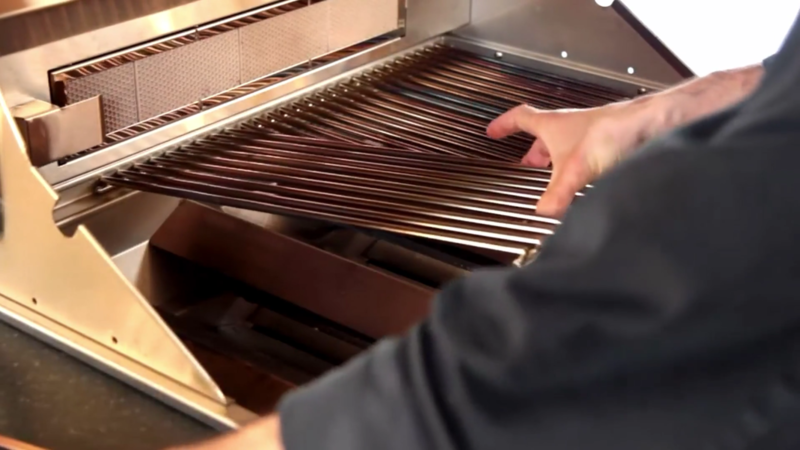 Grids tend to be made from many of the same materials as burners and other BBQ components; at Lion we use our high grade 304 stainless steel which is the best on the market bar none. As with all of our other accessories and components, we use 304 grade stainless steel for the creation of our steel rod cooking grids. 304 stainless steel is the best commercial grade steel and has always proven to rise above the rest when it comes to the overall quality and durability it possesses. Other grades of stainless steel are lighter, not as durable, and tend to corrode and rust easier. Our 304 grade is the opposite of that; it’s sturdy, heavy duty, resistant to rust, and heavy gauge. You can feel the quality by just holding our grids and feeling the weight of the item. Stainless steel grids have great longevity and can withstand all types of weather conditions. Our grids are also very easy to clean and maintain. The qualities are numerous, which is why we feel our 304 Stainless Steel Cooking Grids are the best you’ll find. Cast Iron is very heavy duty, making it extremely durable. Cast iron grids will be able to maintain great heat and are generally excellent for all manner of grilling. The main problem is that cast iron is difficult to maintain and needs to be oiled and cleaned on a constant basis. It is also susceptible to rust, which is not what you want from the very product you will be grilling your food on. Good, but the downsides of cast iron for an outdoor grill outweigh any benefits. We feel that stainless steel just performs at a higher rate while also being much more durable and easier to maintain. When you’re searching for cooking grids, chrome coated is one to definitely stay away from. Chrome coated grids will no doubt be the cheapest, but that also means that the quality is very low-grade. These grids will be cheaply and quickly made; they are usually cheap metal that is covered with a chrome coating. These rust rapidly as the coating wears off very fast exposing the metal beneath to the elements. The price point is low and the quality is the same. It is recommended that the consumer stay away from these as the “value” gained is quickly lost as these grids expire quite quickly. Not as low quality as the chrome coated grates, but not much better either. Porcelain coated grids suffer from the same problems as the chrome grids, which is that the coating tends to chip and wear off, leaving the steel beneath to rust rapidly once it comes into contact with the elements. Another downside to porcelain coated grids is that the porcelain will chip easily if it comes into contact with any metal grilling tools. You must use grilling tools with caution as a few chips will quickly lead to a rust encrusted cooking grid. Low quality and not recommended. Welcome to this month’s featured recipe! 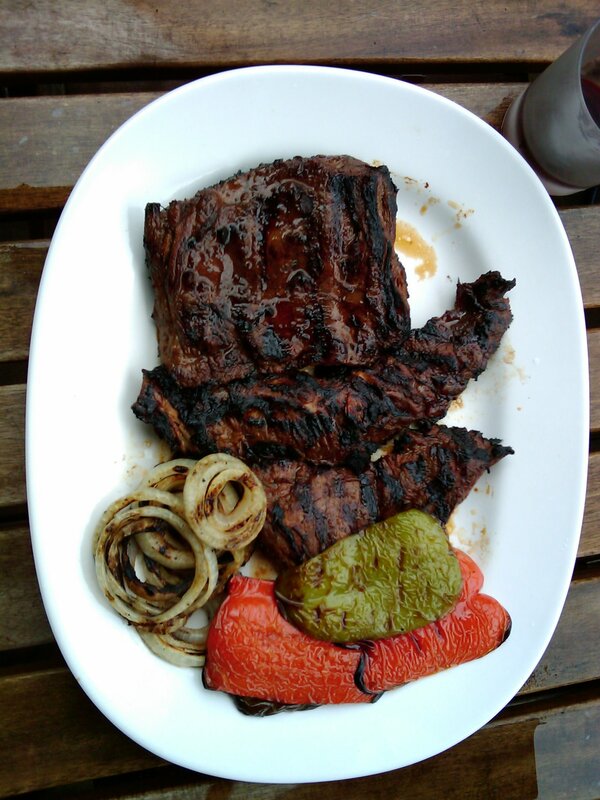 We have a classic grilled skirt steak but made to perfection by world renowned chef Mario Batali. Chef Mario Batali is also a writer and owner of such eateries as Carnevino in Las Vegas, Del Posto in NYC, and Chi Spacca in Los Angeles. Here Batali presents a delicious recipe for grilling skirt steak — a nicely marbled cut of meat that is excellent with a variety of marinades — and adding a delicious salsa verde along with grilled onions and peppers as accompaniment. This preparation is absolutely mouthwatering. Check out the recipe below! 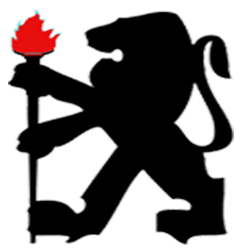 Light your Lion BBQ grill and preheat. Scrape most of the marinade off the steak and season the meat with salt and black pepper. Grill over high heat for about 3 minutes. Turn the steak and grill for 2 minutes longer, until browned outside and medium-rare within. Grill your onions, poblano and bell peppers. Transfer the steak to a cutting board and let rest for 3 minutes. Thinly slice the steak against the grain and sprinkle with smoked paprika.